Pine Oaks Land & Timber was established in 2005 by owner Patrick Brown. Patrick is a Mississippi State University graduate and a Registered Forester in Mississippi. 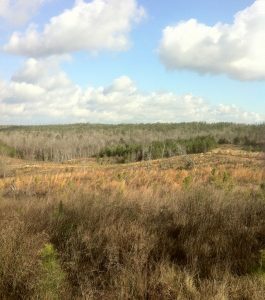 Pine Oaks Land & Timber buys tracts of timber and land throughout Northeast MS and Northwest AL. We contract with several certified SFI and Professional Logging Manager logging crews that are skilled in various types of timber harvesting. We also deal directly with all large paper companies and sawmills including: PCA, Weyerhaeuser, International Paper, Georgia Pacific, Westervelt, KyKenKee, Noland Timber and more. Being a small business, we have low overhead, which allows us to offer top prices on all pine and hardwood products.